Samthar has scarce water resources, but plenty of rain. Rain water run- off is wasted. 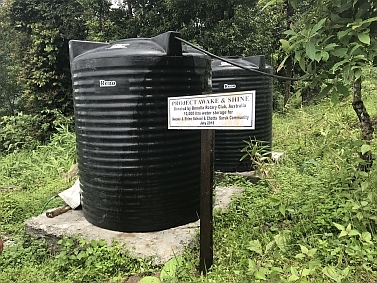 To store roof run off rain water a water harvesting project with portable filters was undertaken for the Awake & Shine Primary School, with the kind assistance of Benalla Rotary Club. In the first three phases, six storage tanks of a total capacity of 60,000 Liters were installed at three locations to collect water from roofs. Monsoon storage proved sufficient to cover the dry season. 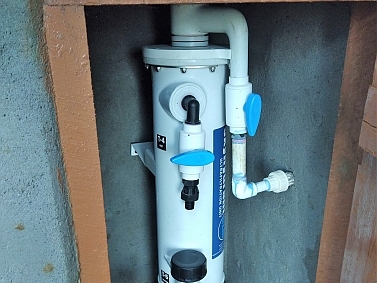 In the final stage of this project additional 20000 litters storage was provided, along with two clean water filters to make rain water potable This project has met the requirements for drinking water and other uses, for the children. It has also acted as a demonstrator for the community. We convey our grateful thanks to Benalla Rotary Club. Chota suruk has a water source but limited storage. 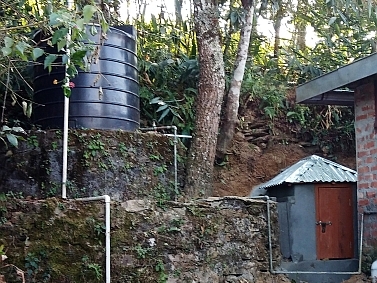 Ten thousand litres storage was provided, to augment water supply to the new school, and the community.